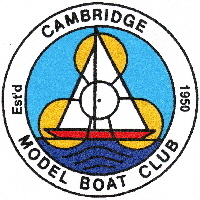 The Club’s membership year runs from 1st January to 31st December. Subscriptions are due on 1st January. We are particularly keen to encourage younger members, although for those under 18, we do require that they attend with a parent or guardian. We offer reduced fees for Junior Members, and whilst this is normally up to the age of 18, we are prepared to extend this to 21 for those in full time education. A newsletter is distributed by email to the membership during the year containing the results of past events, some technical topics, and details of future events for your diary. Membership Fees are currently £20 per annum for Adults. For those joining during the year, we offer a reduction based on the date of joining. From January to 30 June we charge the full fee, from 1st July to 31 st December we charge half the full fee (Adult Members Only). Junior members pay £6 per annum - no reductions. A Membership Form is available from Committee Members, or to down load here - please complete and return to the address given. Before submitting your form, please be sure to read the Club Rules which are available here.